Today I wasn't able to take a picture of my full outfit but I did snap some shots of my accessories. My outfit was simple black leggings and an oversized T-shirt. To dress up my casual Friday look I accessorized. 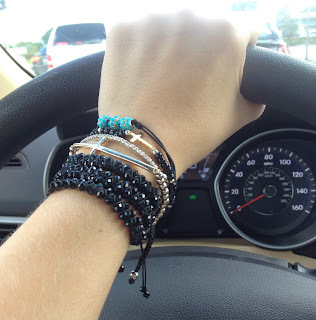 All black and silver bracelets. Some I purchased while in Colombia on vacation, others are from District 7 on Etsy, and some are from the Merchandise Mart in Miami. 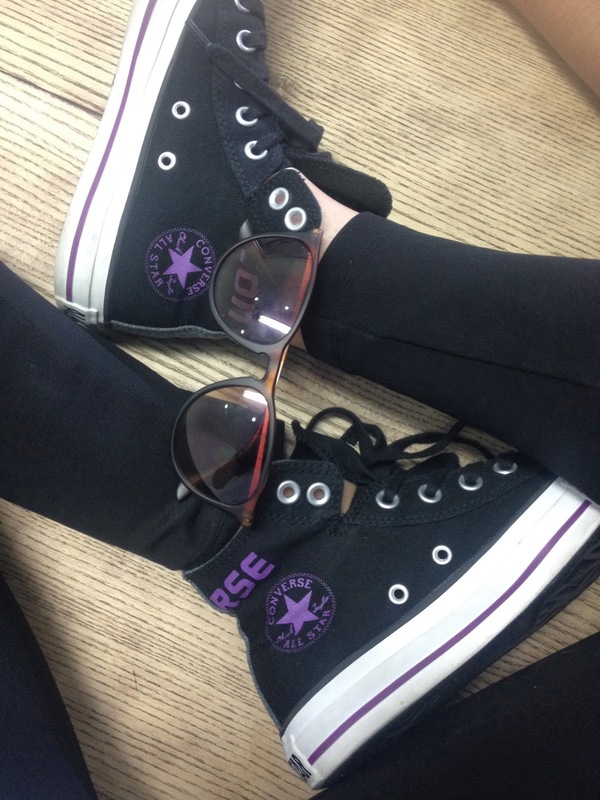 My casual look finished off with my black and purple Converse sneakers. I have worn them before on the blog but folded over, today I wore them as the high tops that they are.